Time to chat about all things happy today on the blog- join me for happy hour! Happy Friday friends and yay for the weekend! I’m so excited that it’s time for some fun, relaxation, and of course “Happy Hour” with all of y’all! 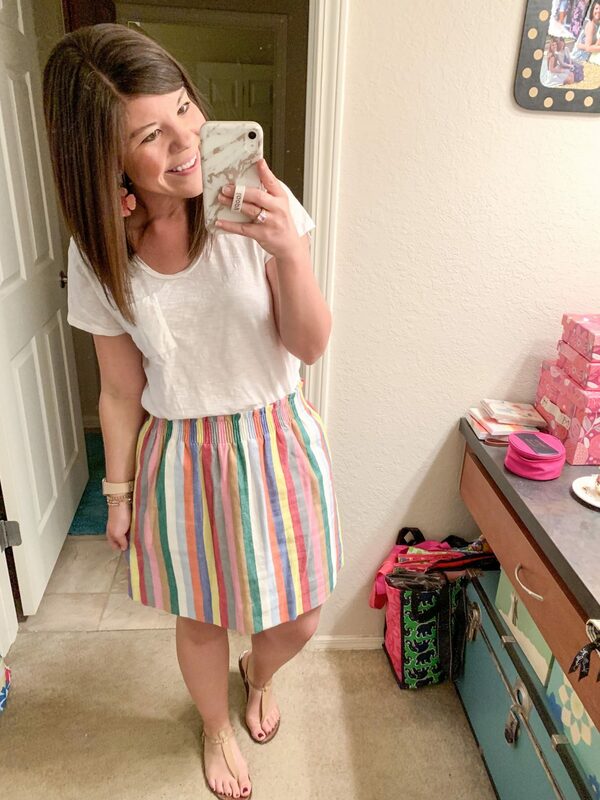 It’s so much fun to catch up with y’all in these posts and share all the random-and fab- things/finds that have been happening around here lately! 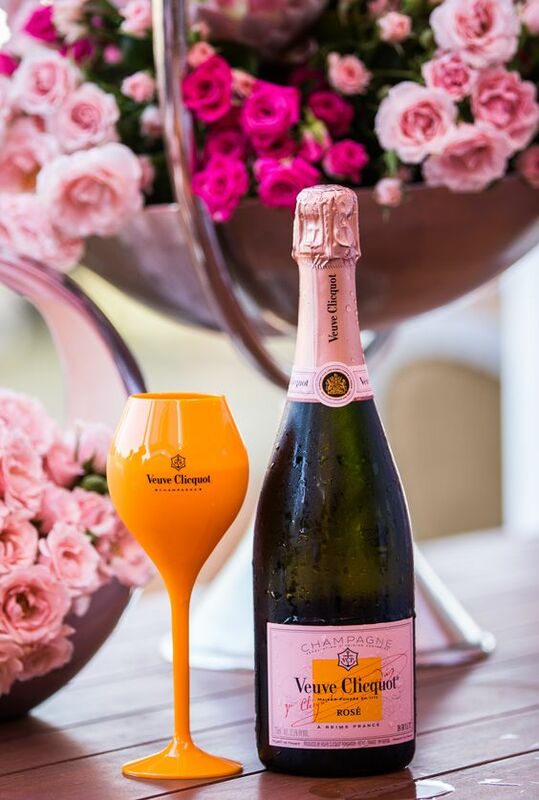 So grab your coffee (or champs) and settle in… it’s Happy Hour! Kickout Crop Jean– I don’t know what’s gotten into me lately, but I’m beyond tired of my skinny jeans, so I am loving all of these new crop/flare options that are coming out! 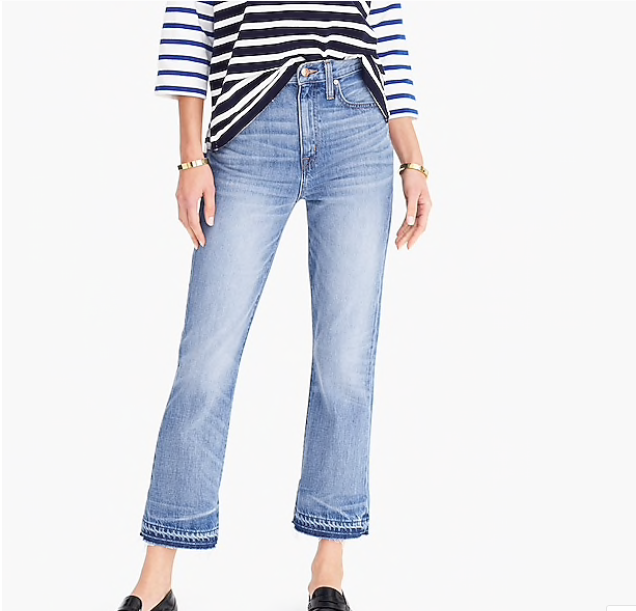 The wash on these jeans are gorgeous and I think they will be so perfect for the spring season! 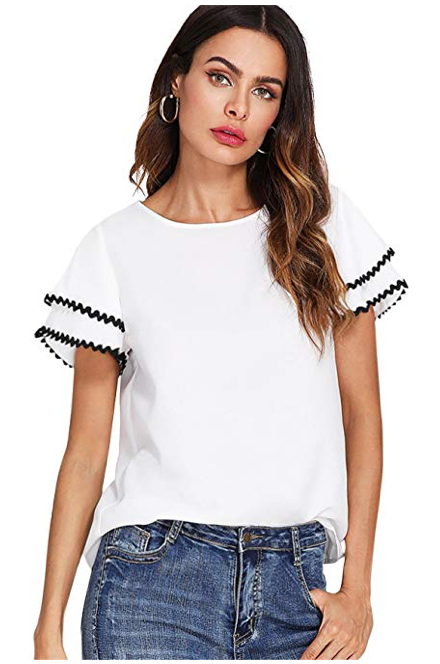 Ric Rac Trim Top– There are not enough heart-eyed emojis to describe how I feel about this top! 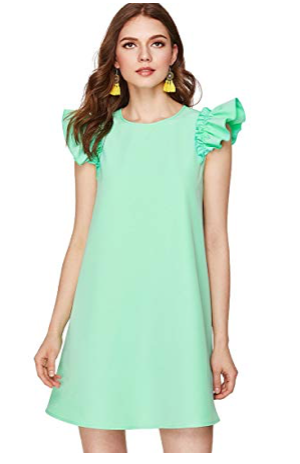 That ric rac trim is darling and adds the perfect whimsical touch to your workweek wardrobe! Paired with black pants this is such a chic work outfit! 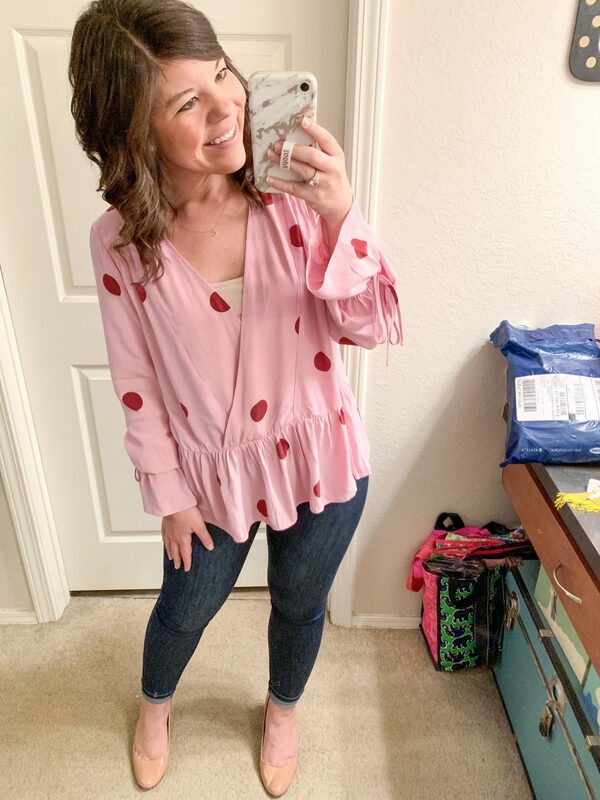 Polka Dot Top- only $20! Jen Lake (Style Charade) wrote a fabulous recap of the Best Five Lessons from RStheCon– I loved hearing what she learned as I hope one day to get the opportunity to attend this conference! 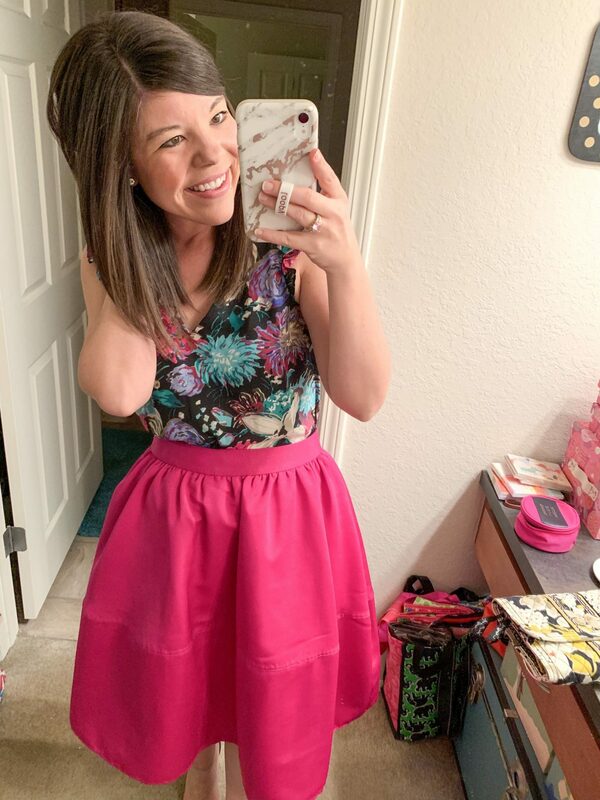 Katie (Touch of Teal) celebrated her 5 year blogging anniversary this week! Congrats friend! 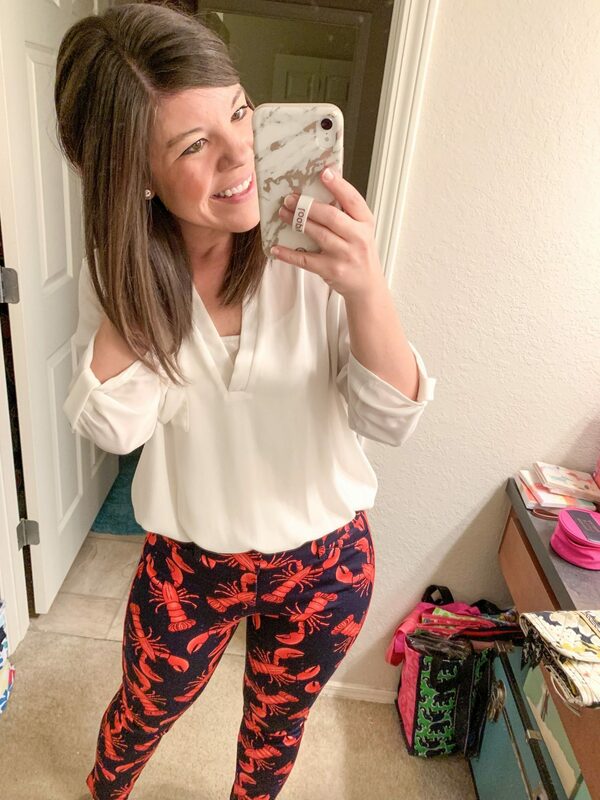 I’ve been loving following Kate’s (Lonestar Southern) bachelorette party- thrown by Lilly Pulitzer! It was such a dreamy weekend and it’s been so fun to see what the team put together for her special weekend! 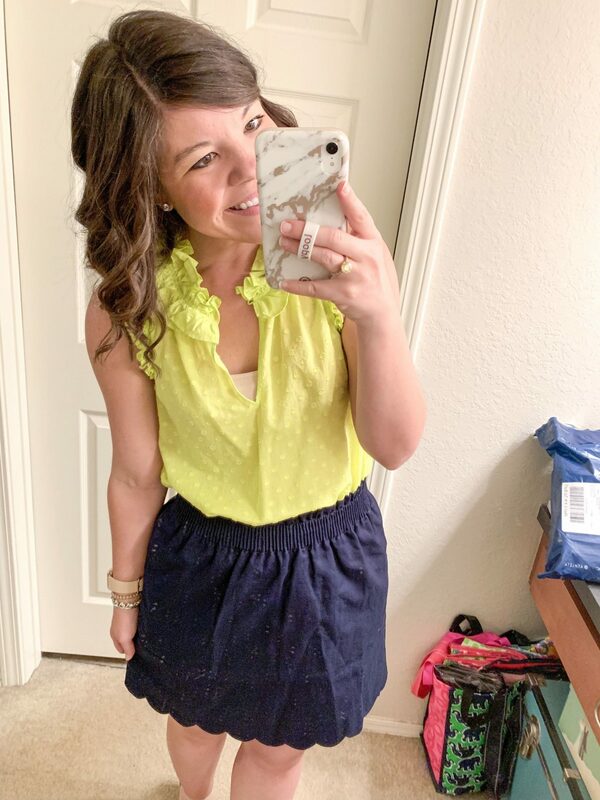 Old Navy– $8 sweaters, 50% off dresses (time to shop for Easter), & 20% off your total order! Super excited for another weekend at home/not traveling to keep catching up on life (that laundry doesn’t do itself)! But don’t worry – there is still plenty of fun to be had! Tonight is wine night with one of my best girls and I can’t wait to catch up! Tomorrow my best friend is coming into town for brunch, girl time, & of course so much fun! I can’t wait to hug her neck! And Sunday I’m headed to church, taking Buddy to meet the Easter bunny (so cute!) and then have a movie night planned with a friend 🙂 Excited to see so many of my favorite people this weekend! So glad I stumbled upon your blog today! This was a great read with my morning iced coffee. 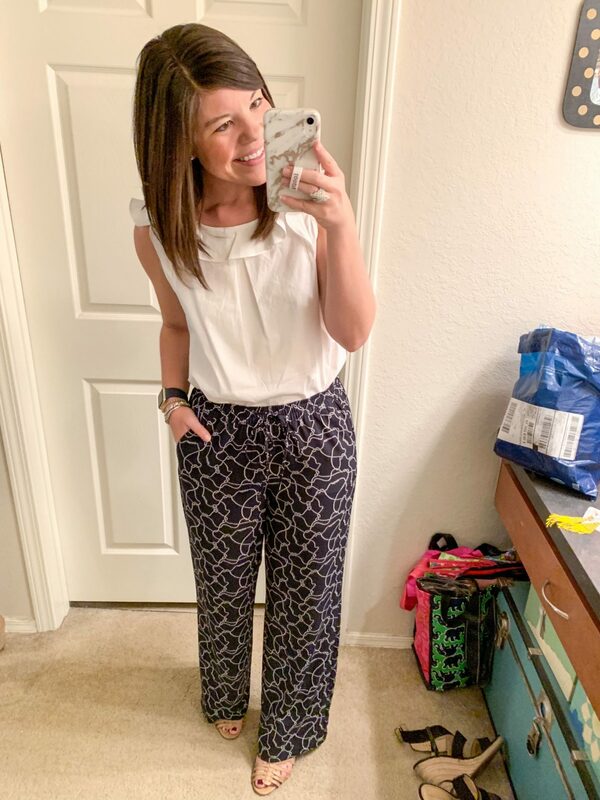 🙂 I love the last outfit in your post, with the white top and wide leg pants! I hope you have a wonderful weekend, it sounds like a fun one! YAY cheers! 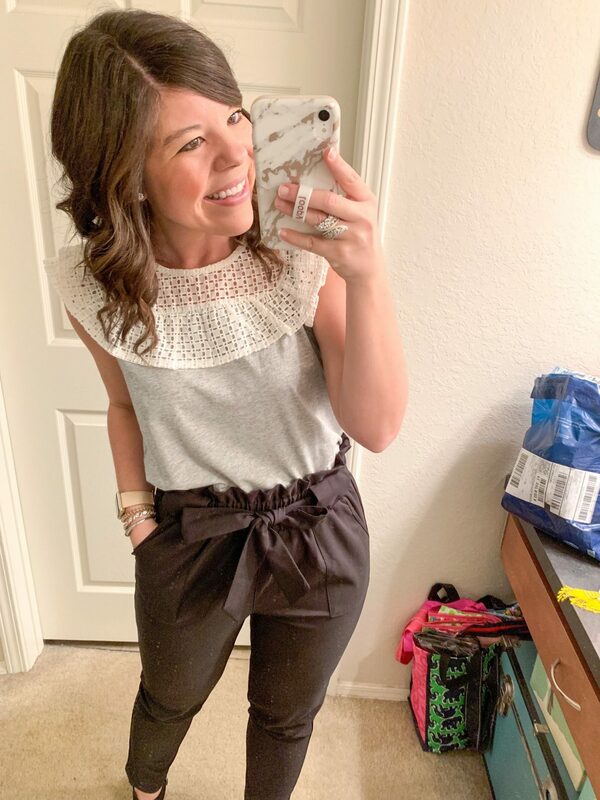 I always love getting inspo from your work clothes — those wide leg pants you picked up from your friend are so cute. Thank you so much! I couldn’t wait one more minute to wear them!